Madrid has attempted to ban manspreading on buses. I wish these guys on the metro would stop manspreading – there is little enough space as it is. They took to the New York City subways to see how people react when a woman manspreads. A female law student has been splashing water mixed with bleach onto men’s groin on underground trains in order to tackle ‘manspreading’. Anna Dovgalyuk, 20, from Russia, accuses men of ‘gender aggression’, and that her country is slow to counter the problem. The social activist has been targeting males sitting with their legs spread wide on public transport in St Petersburg, Russia. The feminist tackled the ‘a disgusting act’ by splashing a mix of 30 litres of water and six litres of bleach into the groin areas of men she deemed to be sitting in an offensive manner. Miss Dovgalyuk said: ‘This solution is 30 times more concentrated than the mixture used by housewives when doing the laundry. The activist complains that manspreading is being ‘fought around the world – but hushed up here’. But Miss Dovgalyuk was silent about the alleged manspreading prowess of a notable former graduate of her own law faculty – Vladimir Putin, the Russian president. The school could close in a matter of a few weeks. In a matter of seconds, the building was in flames. His performance of Hamlet left an indelible impression on all who saw it. There was some financial scandal involving one of the ministers but it was all hushed up. The mayor tried to hush up the fact that he had been in prison. It took 15 years for the alleged criminals (= people thought to be criminals) to prove their innocence. He is being hunted by police for his alleged involvement in several murders. He’s always boasting about his sexual prowess. 1998 was notable for the fact that British teams performed badly. 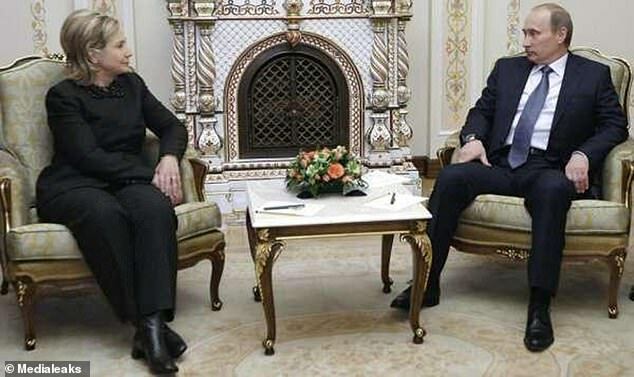 Ex-US presidential candidate Hillary Clinton last year upbraided the Kremlin leader explaining: ‘There’s an expression- we certainly know it in New York- called manspreading. ‘Every time I met with him, it would be…(she gestured to show legs spread apart) the whole deal’. She claimed her video was dedicated ‘to all ‘men’ for whom manspreading is the norm. In newspaper articles she consistently upbraided those in authority who overstepped their limits. Showing some of her alleged hits on metro trains, Miss Dovgalyuk said: ‘We not only cooled the manspreading down but also marked them with identification spots! The student claimed to be acting ‘on behalf of everyone who has to endure the manifestations of you declaring your macho qualities on public transportation’. His refusal to see us was a manifestation of his guilt. The demonstrations were a manifestation of the people’s discontent. ‘I’m leaving tomorrow,’ James suddenly declared. Calling herself a ‘social activist’, Miss Dovgalyuk has previously achieved worldwide attention by flashing her underwear to commuters to raise awareness for upskirting laws in Russia. Critics asked how she was helping counter the menace of up skirting by flashing her undies. Dogs running loose are a public menace. His doctor advocated early retirement. The author denied that his new book advocated violence. A Russian news outlet claimed that her video was a sham – and that she had used actors. She said: ‘My action is absolutely real,’ she said, denying it was linked to an organisation specialising in online stunts. Spreading inaccurate information does not befit a news outlet. It turned out that he wasn’t a real doctor at all – he was just a sham. They claimed that the election had been fair, but really it was a sham. I thought the meeting was a total sham and a waste of time.